For 75 years, the annual Hahnenkamm race in Kitzbühel, Austria, has produced unforgettable triumphs and heartrending tragedies, a heritage that is full of myths and legends. Nowhere else is skiing celebrated so intensely. The city, the nation, and the entire winter sports world go crazy for the battles that play out on the slopes, and the race down the Streif is the most anticipated event of all - the Superbowl of skiing. 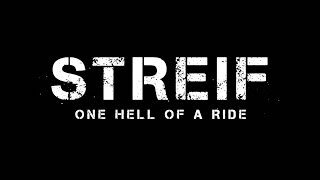 “Streif – One Hell of a Ride” vividly shares this momentous occasion, plus everything done in preparation. The ultimate ski race movie, produced by Planet Watch, presented by Red Bull Media House.